Howard is interested in the care and restoration of older cars. 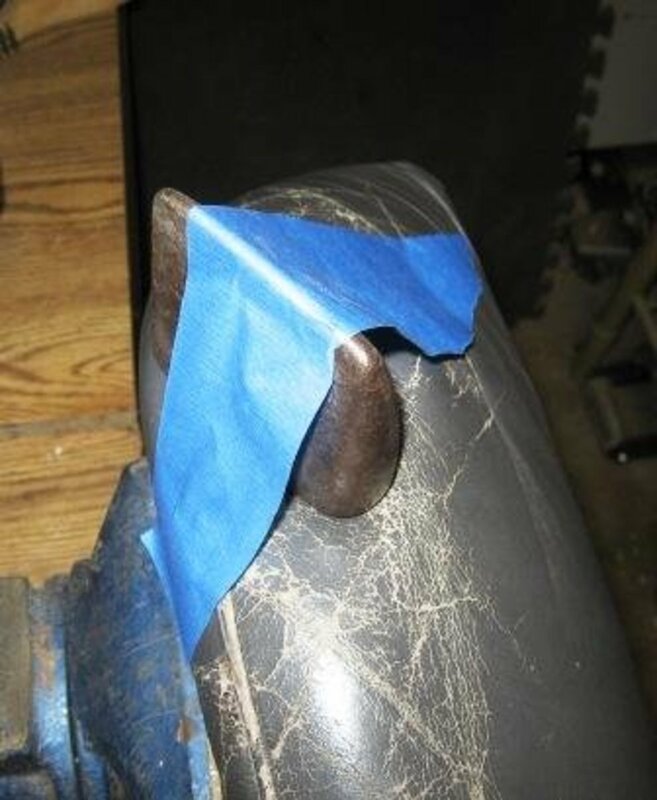 The average hobbyist can do a passable DIY seat repair. Forget ugly duct tape or drawstring seat covers! I vary my repair techniques depending on the nature of the damage. Rips and tears in auto seats can be divided into two types: Those that border on a seam and those that don’t. 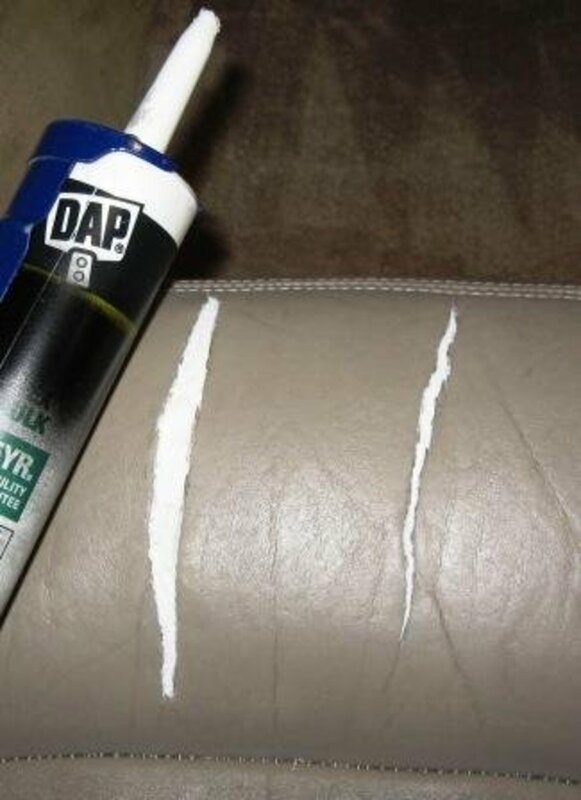 For starters, let’s acknowledge that if you do it yourself, a repaired seat tear will never be completely unnoticeable. If you want it to look like new, you’ll have to take it to a professional upholstery shop. A professional can restore seemingly hopeless leather. In a worst-case scenario, he can completely recover it in cloth or vinyl, starting at approximately $200 per bucket seat and $250 per bench seat. Leather materials, however, will cost considerably more. Nor does it cover repair of porous cloth or velour fabric seating—only leather, vinyl or cloth-backed vinyl. 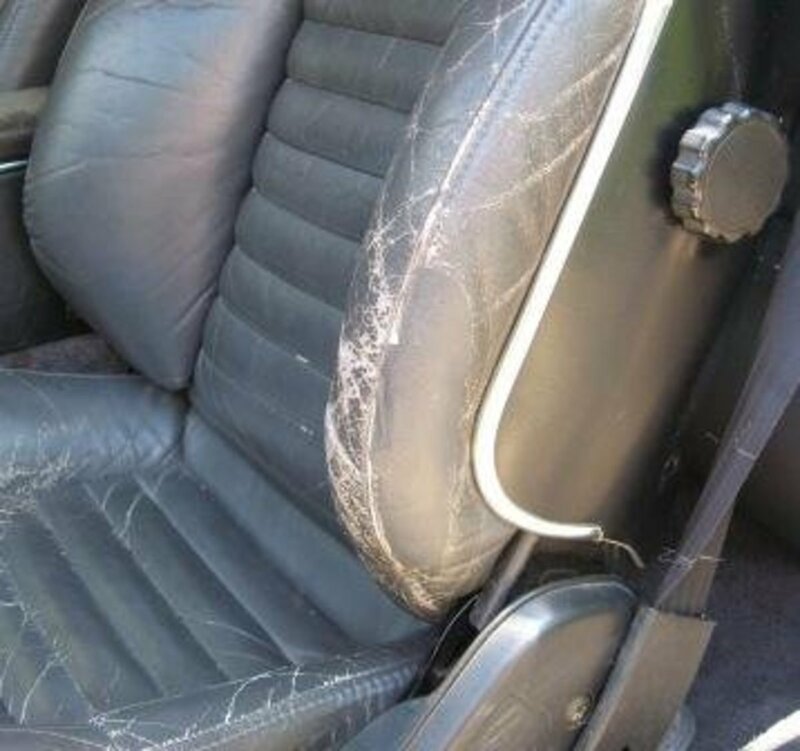 By the time most cars reach the age that the seat coverings begin to split due to normal wear and tear, it’s usually not worth paying to have the seats professionally recovered. 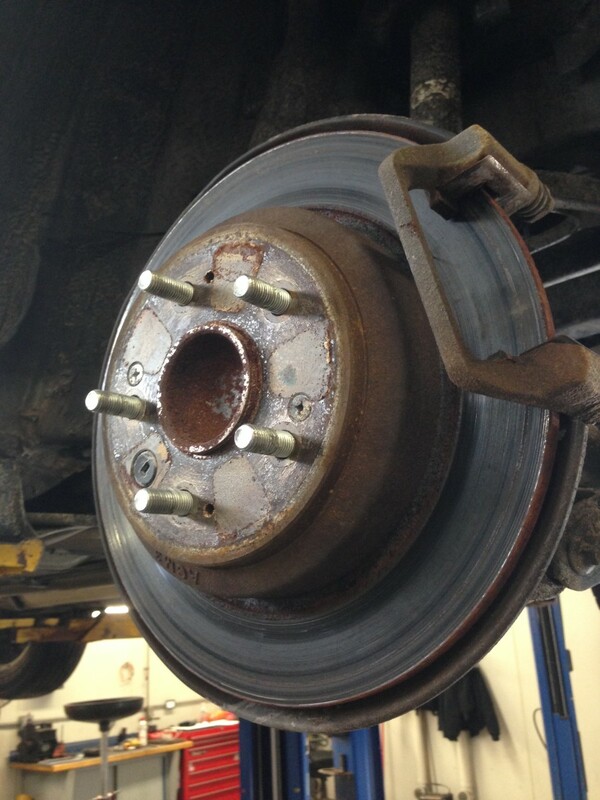 At that point, most owners will either just ignore the damage or try some easy fix, which is usually ineffective. Moreover, once a rip begins, it will continue to tear if not stopped, and any underlying foam padding that is exposed to sunlight will rapidly deteriorate. When the seat fabric splits where it is not right up against a seam, we have access to the back on both sides of the rip. For this kind of damage, I glue a piece of fabric to the back of the rip and hold the gap closed while the glue dries. That’s easier said than done. If you’re not sure whether your rip is of this type, gently probe with a screwdriver or similar flat blunt instrument to ensure that there is at least ¼ to ½ inch of clearance beyond the edge of the rip. The ideal tool is a shirt stay, one of those little plastic stiffeners that often comes on the collars of men’s dress shirts. There will be layers of padding and perhaps other cloth under the ripped surface material. You want to be sure those can be separated from the top layer—the one you want to patch. It is important to use a suitable patch fabric. I find that a scrap of suede or heavy-duty duck cloth used for uniforms works well. The critical factor for woven cloth is that it not stretch on the warp and woof (all weaves will stretch some on the diagonal). If the color happens to be a close match, it may make things easier. The gray bolster from this Supra bucket seat shows what it looks like with the fabric tucked in, before gluing. I try to orient the fabric so that the warp or woof is aligned with the direction of stress. The shirt stay is pointing to the patch, which is nearly invisible now because of the close color match. Next, we need to use weights or clamps to apply direct pressure to the surface in order to press the leather and glued backing together. This is not easy, so I work it out before applying the glue. The surface is always curved, so you need to press hard enough to flatten the curve or use a curved pressure plate. 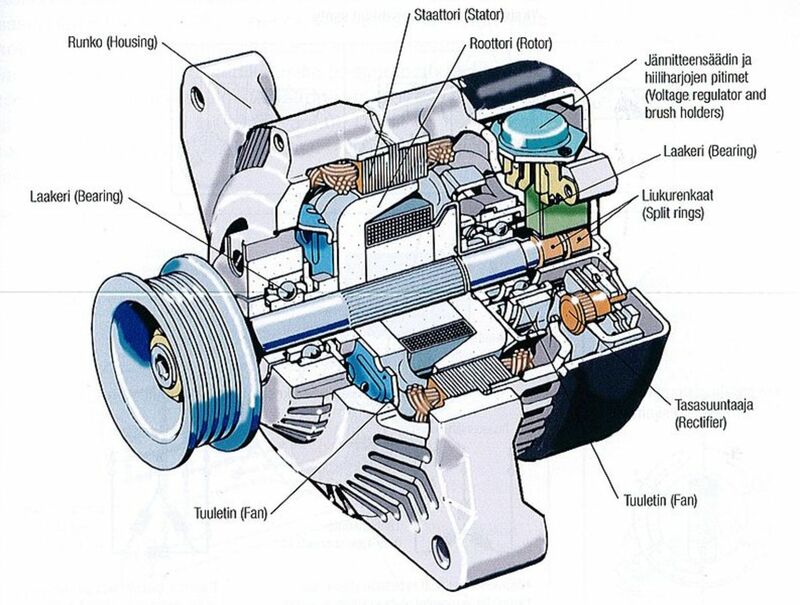 Take care that your pressure clamps are not widening the gap. If possible, apply clamps to narrow the gap simultaneously. I did not do that for the Lexus because the tan leather had spread apart from drying out and shrinking in the sun. The gray Supra spot is small enough that I didn’t bother. There are many suitable adhesives, but the one I prefer is plain old school glue. It is easy to apply, dries clear, remains flexible when dry, and is water-soluble for clean-up, even after it’s dried. Professional upholsterers use special water-based adhesives that set up quickly. When the adhesive is completely dried, release the pressure and admire your progress. The gray Supra repair is finished at this stage. 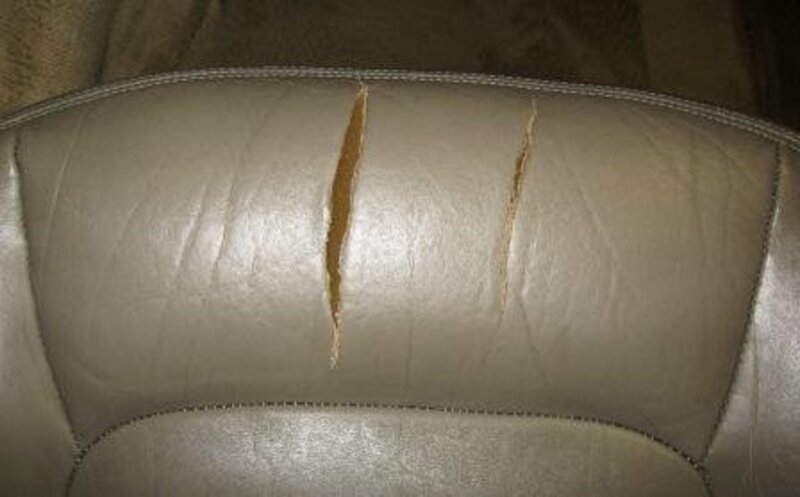 For the damaged Lexus seat shown here (tan), the rips were so long that I chose to patch each end of the rips separately. The Lexus leather is quite thick, so the repair needs a filler to bring it up flush with the seat surface. Various fillers will work. The main requirements are that it be flexible, non-shrinking and can be colored in some way. It will usually be necessary to color the repaired area to get it to match the seat color. Various companies sell kits which enable you to mix colors for vinyl and leather repairs. Getting a close match is difficult though, as you can see by the tan Lexus example here. The colored medium is often of the heat-cure type. The technique is much like ironing. 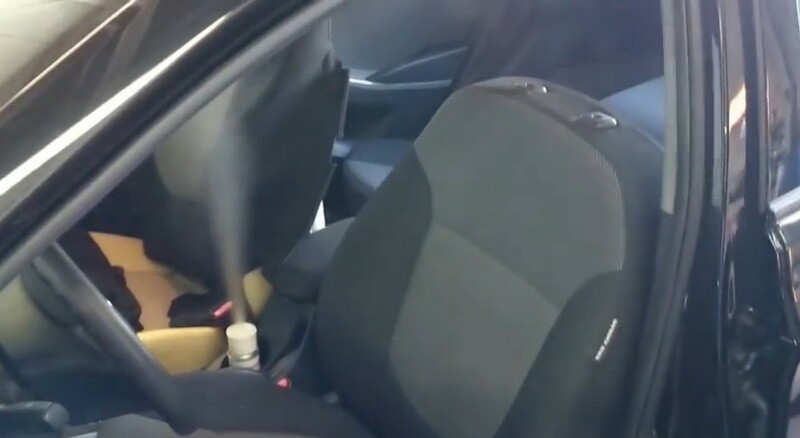 The challenge, of course, is to heat the patch enough to cure it without overheating the surrounding seat material. There are companies that sell pre-mixed bottles containing an exact match to your car's seat color. See the last paragraph of this article for ordering information. In situations where the rip borders right up against a seam, it usually isn’t possible to slip a fabric patch under the seam. 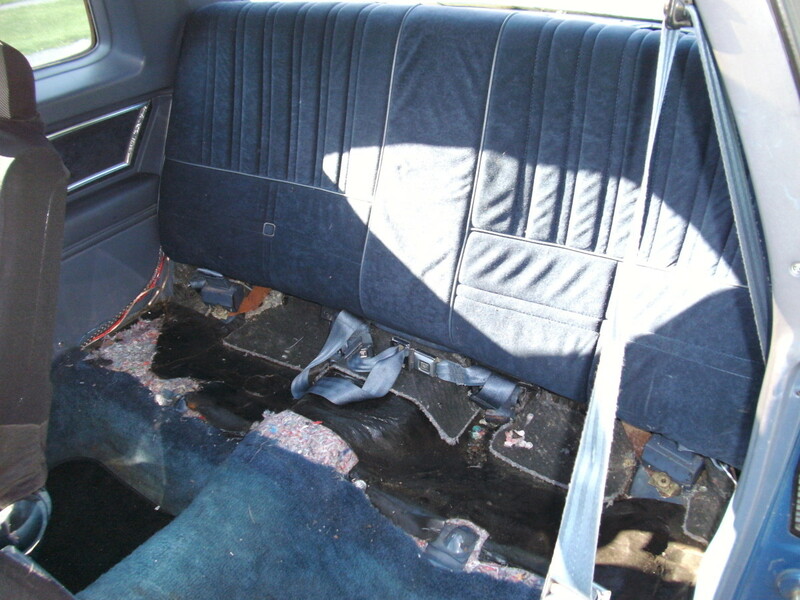 In this case, the solution is to patch over the top using a remnant of the same leather or vinyl used on the seats. All seats have some excess material that is hidden from view beyond where it attaches to the seat frame. To access this requires removing a seat or some part of it. 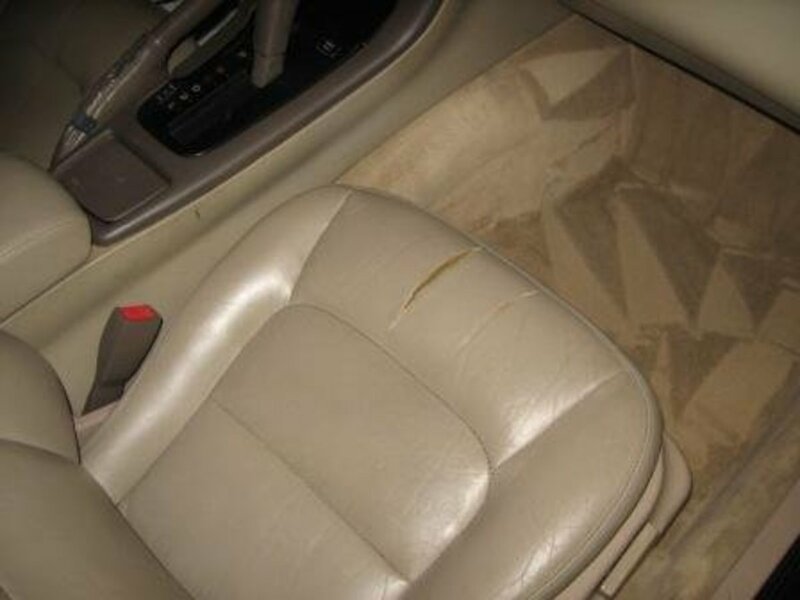 Many “all leather” seats will actually have leather on surfaces that will receive the most wear, but cloth-backed vinyl for the sides or other areas that will receive little abrasion. If you have a choice, the cloth-backed vinyl is preferable because it is thinner. When I removed the gray bolster from the Supra, I found a nice big piece of vinyl, although I never found where this had actually been used on visible surfaces. Note the contrast between the thickness of the vinyl (0.0235 inch) and the leather (0.0570 inch). I did not think of photographing this area before starting. Suffice it to say that the damaged area was nearly as long as the patch. It was not nearly that wide, though heavily worn. Since I was patching anyway, I made it as wide as the scrap material permitted, thus reinforcing the weakened area that tends to take the most wear on this type of seat. If exposed open-cell foam may come in contact with glue from the patch, I insert a thin non-porous sheet—plastic, wax paper, etc.—between the foam and surface material. If glue is permitted to saturate the foam and harden, it will ruin the sponginess and stiffen it. 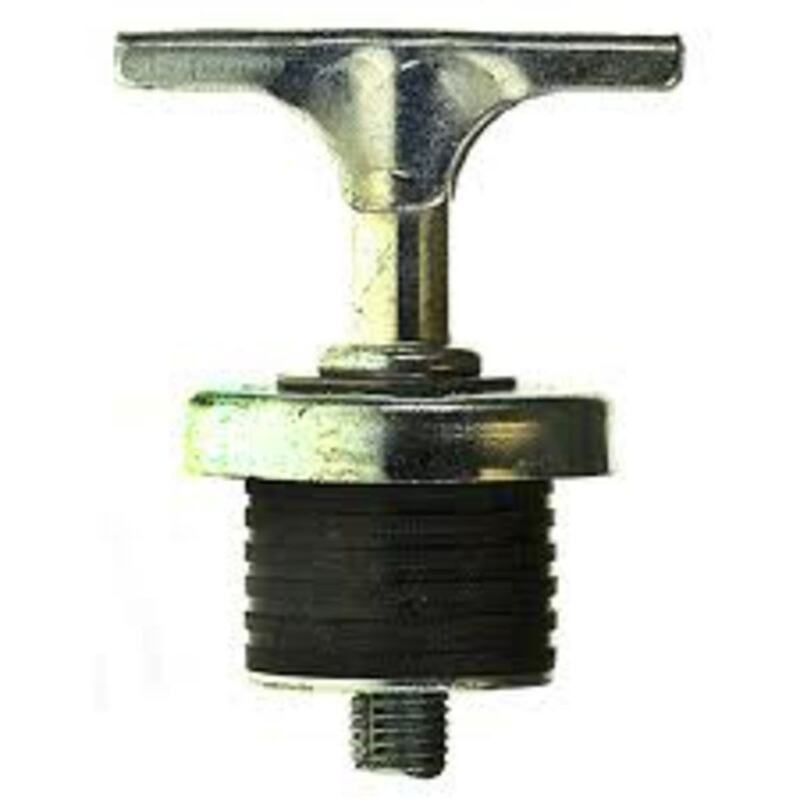 Ensure that your pressure plate—the surface that will directly contact the patch and any glue that squeezes out around it—is less porous than the seat surface. 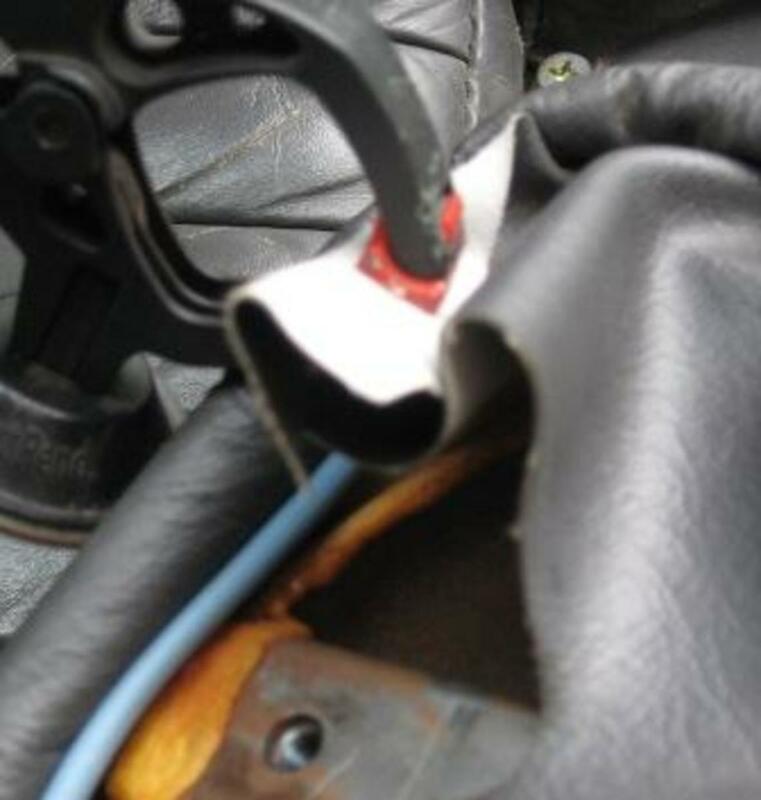 Otherwise, when you release the pressure, bits of the seat fabric may separate and adhere to the clamp. When I use a wood block, I wrap it with plastic cling wrap from the kitchen in order to release from the glue. Metal clamps don’t need this precaution. 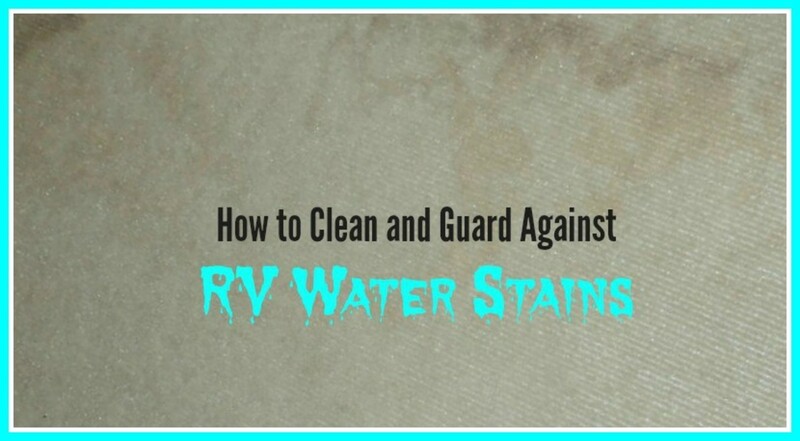 Since I use a water-soluble glue, I can clean up any residue with a moist rag. Positioning a patch that has to edge snugly up against a seam can be difficult because it will tend to slide around once glue is applied and because the pressure plate generally obscures vision. I practice aligning it a few times before applying the glue. Kits are available with everything necessary to do the job. Typical contents include subfabric, adhesive and primary colors for mixing. Kits with a heat-transfer tool work better on vinyl and include a few leather-grain transfer papers. 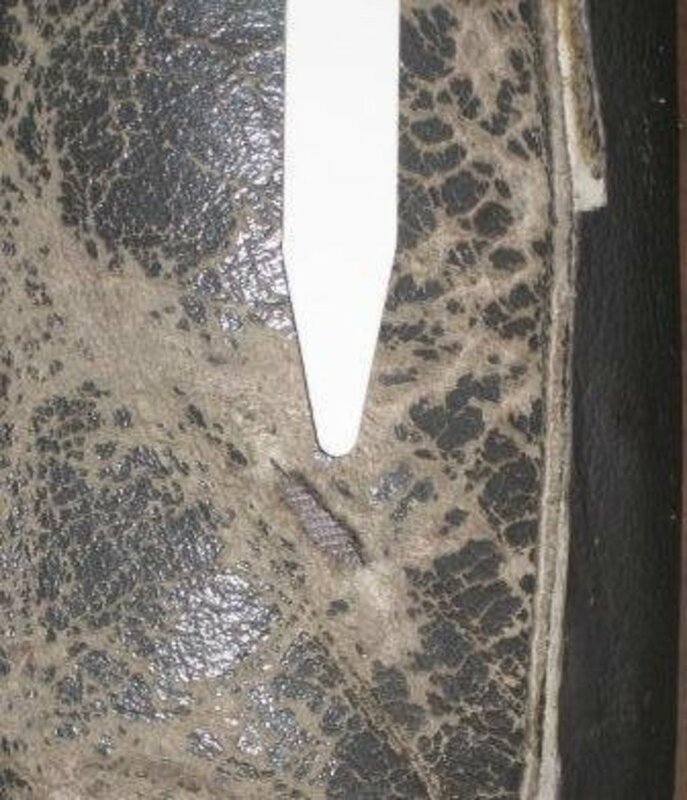 Those that do not require heat work better on leather. The toughest part of most basic kits is trying to mix the colors for a good match. Unfortunately, you get what you pay for. The discount auto stores sell only the cheapest kits, ranging from about $10 to $25. Better quality materials are available locally from wholesalers that supply professional shops. Online specialty retailers such as Leather Magic, MagicMender and LeatherWorldTech that sell to professional shops also have kits for about $60 that come with a bottle of pigmented leather top coat paint that you specify. They stock hundreds of pre-mixed colors to match almost any production automobile seat. That may well be worth the cost in order to avoid the aggravation of trying to mix and match the seat leather from basic colors. Have you ever repaired a car seat? Glue won't stick to vinyl. Some patch kits use a heat tool, similar to soldering. I haven't tried that kind, but that's what this calls for. The cat has torn the vinyl of my husband's exercise bench. The vinyl is black. Would it be easier to match the black color? There are 4 very small tears that are only about 1/8 inch long. The cat just got her claw in and then drew it out. So, I can't patch. I wonder if I can glue with Elmer's glue and match the black color. I am looking for an economical repair. I wonder if I can smooth it out to look better. At any rate, I think my husband would be happy if the tears did not get worse. The cat is now banned from the den, so I don't think she will be causing any more damage. Any suggestions are very much appreciated. LS 430 interior paint is available online. Have used with great success. Will use the DAP ALEX Ultra to redo centor console that I filled with paint, ultimately cracked. Thanks much. Do you know the scientific name for "school glue"? Sorry, no need to answer, Google did. And I have some wood glue. All I need is to find appropriate paint to colour it. 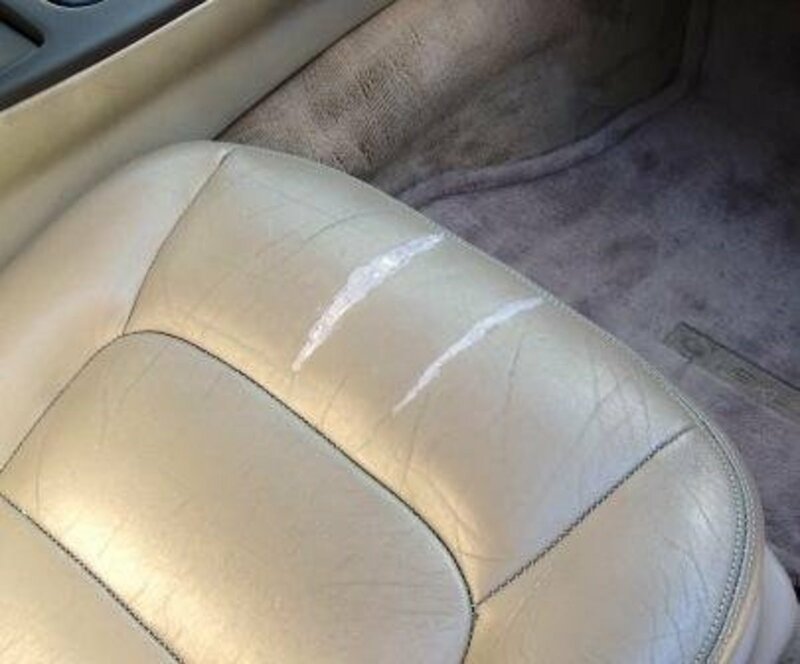 What Glue is best used for reupholstery leather on a Lexus? May someone help me please. Thank you. I have redone my 2006 BMW X5, 2011 Infiniti G37S Leather seats with great success - http://www.leatherworldtech.com has kits - you can very effectively paint your leather seats with a foam brush after the proper preparation. They sell kits with special cleaner/scrubber pad/filler if needed, paint, brush and leather conditioner. They literally look brand new. You can find the color match of the VIN# or their charts OR send them a sample of leather and they will match it. I just got 8 oz of paint for my sons car for $24.95 for his 2 seats in a old Honda sports car. Part of this article deals with rips that border a seam. 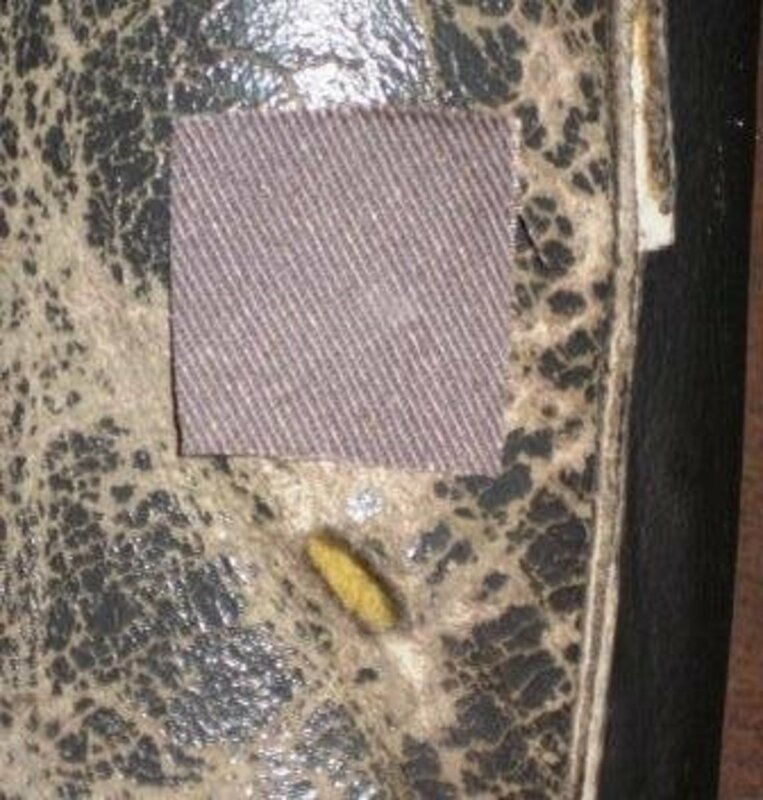 Perhaps you are talking about rotted stitching where two pieces of leather have shrunk away from each other--typical of the upper edge of back seats in sunny climates. 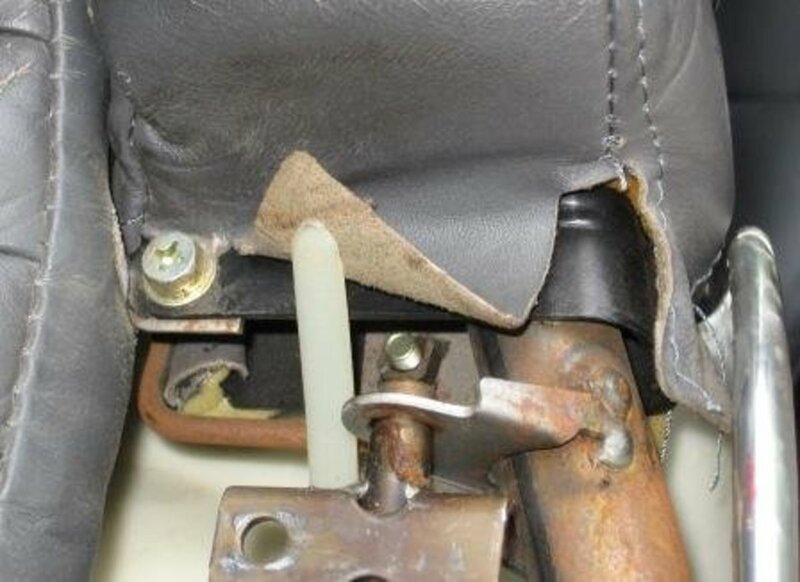 The right way to fix that is to remove the leather from the seat, sew it from the backside, and re-stretch it. That's a lot of work and probably won't fit right. The alternative is to work a piece of fabric through the crack so that you can apply glue around the edges. Then do whatever it takes to push, pull, shove, clamp, or bind the crack closed (or closer together). That should prevent further damage. Finally, fill the void with a pliable filler as I described in this article. Just wondering what you would do for a seam that has come undone? 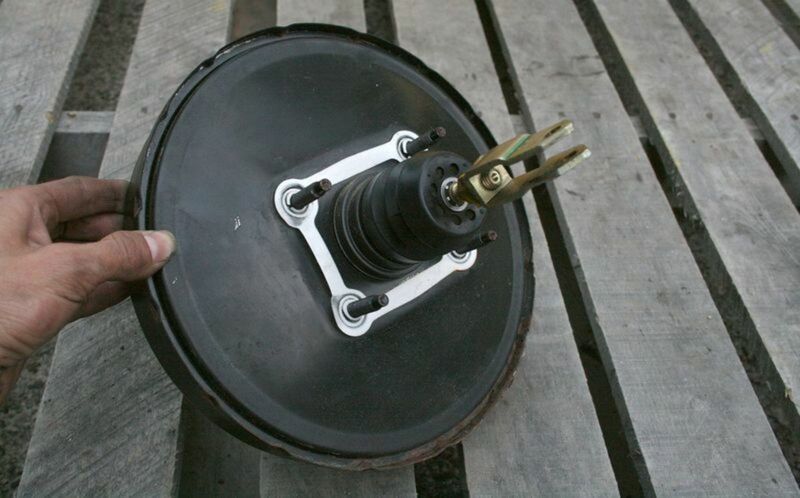 Really useful article - thanks for giving me a few excellent tips before I tackle the major repair (multiple rips, foam exposed) on the driver's seat of the 20 year old Toyota Hilux 4x4 we just bought, which is otherwise in excellent condition. I'd been scratching my head on how to hold it all together while the glue dried, and now I'll place some fabric strips underneath and use masking tape while it dries, then apply a large vinyl patch over everything tomorrow! It's never going to be pretty, but it will save further deterioration. Thanks! 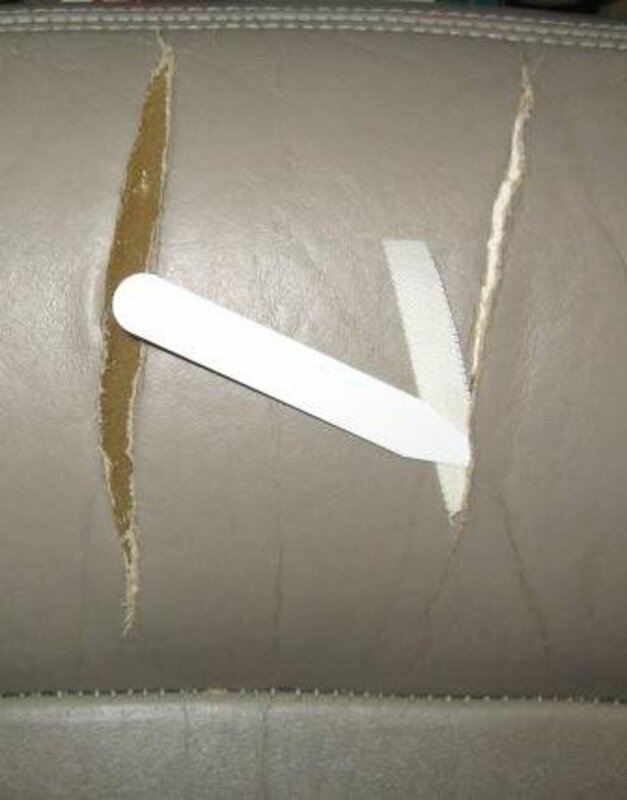 Mr. Howards, I like your article on Car Leather &Vinyl Repair:How to DIY AutoSeat Upholstery. Your information is great. Thank you. Yes, I have tried to focus more on DIY tips and materials that I know than on selling other products that I might not have experience with. Thanks for the great tips, loved them. Meg, I have update the article to specify SEM 38442 Leather & Vinyl Repair Compound http://www.tcpglobal.com/autobodydepot/itemdetail.... as a good leather filler used by professionals. 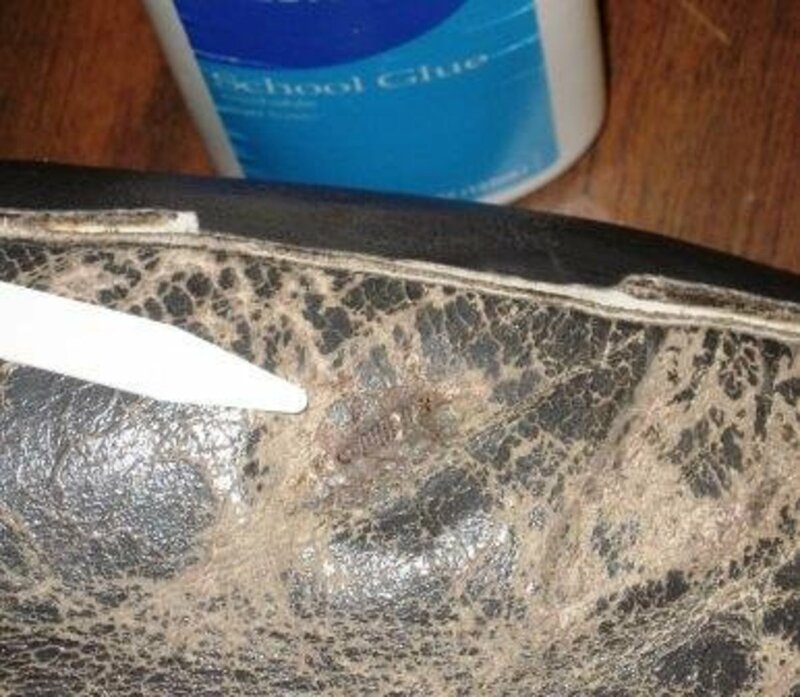 Great article--so nice to know that I can use things I already have around my house to repair torn leather, rather than having to go out and buy a whole kit. What was the professional product that you had intended to use before you switched to caulk? An excellent hub! Gives some valuable insights as to what upholstering is all about. voted up!